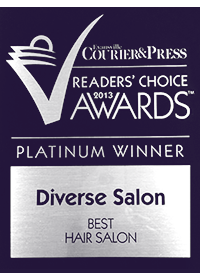 We want you to look and feel your absolute best when you leave our salon. That’s why we use only quality products at Diverse. No matter what your hair type, the unique variety of professional hair care products we carry guarantees amazing results every time. KENRA has been formulating and producing hair care products using only the finest ingredients possible. Kenra products are only available in fine salons in the United States and Canada. 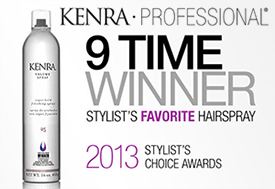 The Kenra product line includes shampoos, conditioners, hairsprays and styling products. We don’t make junk. Our products contain the finest, most beneficial ingredients in the world; shea butter from Africa, orchid oil from Asia – if it’s the best, no continent is too far! We also don’t collect antiques, so we constantly update our technologies and develop new ones to uphold our reputation as the leader in beauty innovation.